Estate of Lucy Waddell Dec'd. by administrator John Waddell. 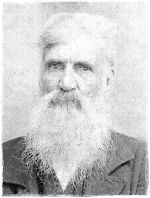 Heirs: William Waddell [moved to Madison County, TN by 1840]; heirs of son Matthew Waddell Dec'd. (Six children - Edmund J. Waddill, Lucy H. Waddill, Ann W., wife of Joseph B. Ingram, Mary Ann, wife of Lewis McLendon, Judith, wife of Edward Beard and unnamed daughter married to Mr. Smith); Lucy, wife of Robert Marsh; Edmund Waddill; Lydia, wife of Thomas Goldston; Sally, wife of Bryan Boroughs; Thomas Waddell; Nancy Waddell [insane]; Mary/Polly McNeill, widow of Archibald McNeill of Marshall County, MS. Mentions 16 negroes: Jack, Natt, Moses, Lewis, Elijah, Charles, Abram, Jeffrey, Gillis, Orange, Isaac, Milley, Susanah, Mima, Jane and Elley.